Is your family feeling overwhelmed by clutter? While it’s important to continuously take steps to donate or discard belongings that are no longer needed, some homes are just too small (and some budgets too tight) to accommodate the needs of larger families. However, since families have found that self-storage units are readily available in almost every neighborhood at an affordable price, they have been renting them to keep their active lifestyles organized and their homes clutter-free during the fall and winter months with much success. Instead of trying to pack up seasonal clothing to keep within closets and garages, families place their clothing (neatly marked) into bins within a storage rental, enabling them to use space within their homes for their larger winter wardrobes. Live in an area where the winter weather can be particularly rough? Some families choose to keep their seasonal furniture and outdoor items within climate-controlled storage to ensure they remain in tip-top shape during the colder months. With more and more families enjoying the outdoors, large sports equipment such as kayaks and camping gear can be safely kept in rented storage, which is under 24-7 video surveillance. Temporary pool? Lawn equipment? Gardening supplies? By keeping them secure within a storage center, families can maximize space within their sheds or garages for items they need for fall and winter (snow blower, anyone?). Families who love to decorate for fall and winter can easily store spring and summer decor within a separate storage area, helping to make sure their home does not become overwhelmed by unnecessary items each holiday season. Scrapbooking, sports memorabilia and other family hobbies can certainly take up a lot of space. Unless families have a large area within their home to store each collection, keeping items securely locked away within a rental unit helps to minimize clutter. By keeping items within a storage facility, families are able to have their home stay in tip-top shape, maximizing the space they have without breaking the bank. 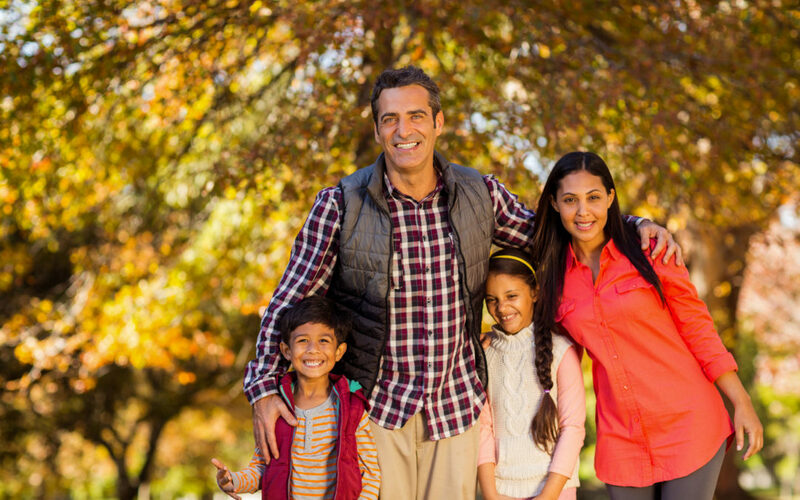 This season, consider how you and your family may benefit by renting a self-storage unit in your area to enjoy a warm, cozy and clutter-free fall!